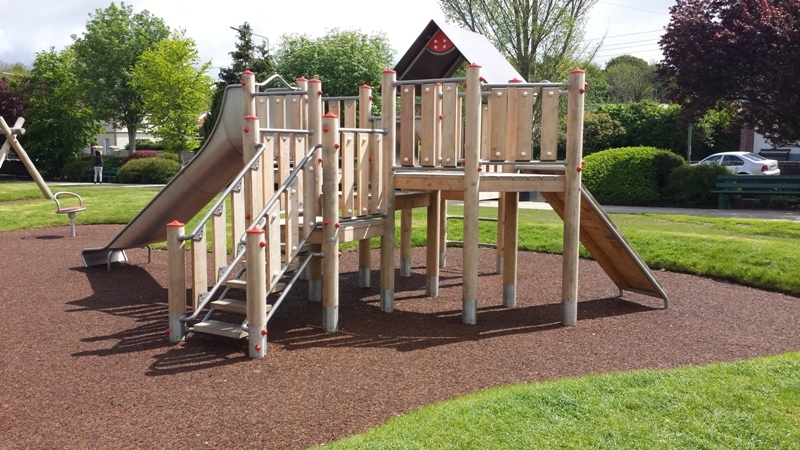 This compact and harmonic play formation combines a multitude of play equipment items for younger children. The set of steps present a challenge toddlers just getting used to stairs and their sense of balance. The inclined ramp is ideal for small children and children with special needs who might struggle to get onto this structure via the steps. The roofed platform with benches is accessible via ladder and crawl tunnel provides opportunities for imaginative play as a look out post or cave. The benches offer a rest and meeting point for children to develop their social skills. 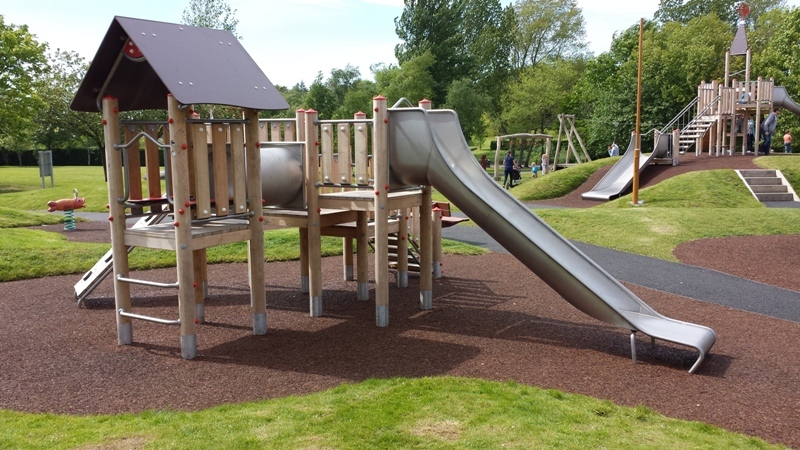 The slide is always a popular element within the playground offering children the opportunity for adventure and perceived risk in a safe environment. This unit is ideal for all inclusive play with access via ramp and area’s underneath the unit accessible with a wheelchair.